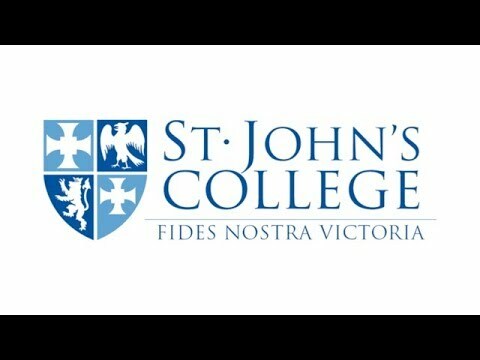 St John’s College is like no other Durham college. Founded in 1909 and set in a series of beautiful listed buildings in the heart of Durham city, the College enjoys stunning views of Durham Cathedral and boast gardens and lawns stretching down to the River Wear. We are one of the smallest colleges, renowned for our lively and welcoming atmosphere. The College has a degree of independence within the University, both financially and in its governance. Our students study for University degrees alongside members of other colleges, but we have the freedom to do things a little differently. St John's is a lively place throughout the year. During term-time, our distinctive student communities of John’s Hall and Cranmer Hall, from across different disciplines, fill the College with life. Staff and students eat together, and our many social, academic and faith events bring the whole College community together. Out of term-time, the College hosts conferences and events with visitors from across the world, postgraduates stay in College to work on dissertations, and we welcome back alumni for reunions. "Coming to John’s, and coming to Durham, is probably the best thing that’s ever happened to me." Go to John's Online to check if you have a parcel at reception or to report a maintenance issue via a blue slip. Read the latest edition of the College Record online here. Check out the brand new MCR Postgraduate Wellbeing Handbook, with advice submitted by students. Click on the image to leaf through the flipbook edition, or open the pdf version.